An early scene in The Untouchables sets the stage for how director Brian De Palma establishes a nostalgic idyll, and then shatters it throughout the film. In 1930, just under the El train in Chicago’s Wrigleyville, a ten-year-old girl crosses the street into a corner pub to fetch milk in her mother’s bucket. Ford Model Ts pass on the street, a traincar runs overhead, and a few scattered pedestrians populate the sidewalks. It’s a sublime recreation of old Chicago. Inside, the girl waits at the counter as the owner finishes his conversation with a man, saying he wants no “green beer” for his pub. When the owner finishes, he fills the girl’s bucket and asks about her mother, but she notices another man in a white suit has just left his briefcase behind. “Mister!” she shouts. “You forgot your briefcase!” The man in the white suit slithers away in a rush. All at once, this scene reminds us of Alfred Hitchcock’s Sabotage from 1936, and the young boy who unknowingly carried a bomb before it exploded, and our stomach drops. Standing in the doorway, holding the briefcase, the girl, along with the pub, detonate into a blaze. This is indeed a scene straight out of old Chicago in 1930, the most violent city of the Prohibition era, just before the repeal of the Volstead Act. The next morning, Catherine Ness finishes packing her husband’s lunch and approaches him in their den. He reads the headline about the bombing. She tells him, “Now it’s time to go to work” and kisses him goodbye. Released in 1987, De Palma’s film captures our reminiscences for an era that Hollywood has since glamorized in the minds of audiences. 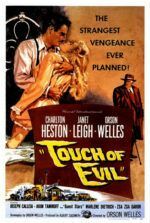 It was a time that never existed: when good and evil were clearly drawn opposites, and the heroes always stopped the bad guys, no matter how fascinating the gangster lifestyle happened to be. Shortly after Eliot Ness brought down Prohibition mobster Al Capone, stories about Ness’ group of handpicked, incorruptible “Untouchables” became the stuff of romanticized storytelling. Americans invited these stories into their homes from 1959 to 1963 with an ABC television series of the same name, starring Robert Stack as Ness. 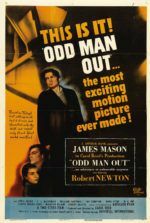 Based on the 1957 book, which Ness co-wrote with Oscar Fraley, the film reinforces those dreamy visions of Ness’ heroism, even while De Palma and screenwriter David Mamet deconstruct the black-and-white conflict and complicate the moral stakes. De Palma and Mamet serve as iconoclasts, suggesting this was not a battle between good and evil; rather, it was a battle in which Ness was forced to become more like Capone in order to defeat him. The Untouchables remains an uncommon sort of gangster drama, aesthetically supporting the Hollywood vision of a glamorous era of attractive violence, and then thematically tearing that vision apart. 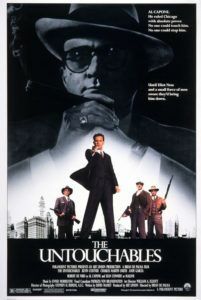 Paramount Pictures, who owned the rights to The Untouchables television series, put producer Art Linson in charge of developing the film. Linson’s first choice of director was De Palma, for whom The Untouchables represented a crucial point in his career. De Palma’s last two films, Body Double (1984) and Wise Guys (1986), flopped at the box-office, and he needed something that would show the studios he could direct a profitable picture. Only then could De Palma once again explore his more independent, personal features (such as Blow Out or Dressed to Kill). “In Hollywood, three strikes and you’re out,” he told Linson. The producer also hired his first choice of writer, David Mamet, who earned an Oscar in 1983 for his work on The Verdict and wanted the material to be independent of the television series. Mamet instead revisited Ness’ original text, incorporating actual accounts of the Untouchables into the screen story and, being a Chicagoan, he included some of his own research. When Paramount officially offered De Palma directing duties, the studio entrusted him with a $20 million budget, and much of it was spent on the cast. Sean Connery had been attracted to the production because of Mamet, then a Pulitzer Prize-winning playwright for Glengarry GlenRoss. Moreover, Connery’s character Malone was a juicy supporting role, filled with quotable, tough dialogue. For Capone, De Palma desperately wanted Robert DeNiro (Bob Hoskins was his backup choice); the two had worked together in the 1960s on several small features (The Wedding Party, Greetings, and Hi, Mom! ), prior to DeNiro’s surge in popularity and high critical praise. The actor would put on twenty-five pounds, raise his hairline, and wear a body suit for the role, showing a more contented, girthy Capone. As the rest of the cast fell into place, De Palma interviewed several actors for the role of Ness, his first choice being Mel Gibson, who had a scheduling conflict due to Lethal Weapon. At the time, Kevin Costner wasn’t yet a star. He impressed in Silverado (1985), but De Palma was reluctant to hire him. Nevertheless, after a single meeting, Linson was convinced Costner was the right choice. The gamble paid off, as Costner was the glue that brought the ensemble together. After the film’s release in June of 1987, The Untouchables earned $76 million in domestic receipts, thus reestablishing De Palma in the eyes of Hollywood. The film went on to earn several Academy Award nominations (for Best Score, Best Costume Design, and Best Art Direction-Set Decoration), but only Connery won for Best Supporting Actor. Even the few critics who walked away from The Untouchables unmoved gave the film credit for its lavish appearance, from Stephen H. Burum’s slick camerawork to Marilyn Vance’s costumes designed by Georgio Armani. Production designers Patrizia von Brandenstein, William A. Elliott, and Hal Gausman took great care to realize De Palma’s glamorization of the era, ornamenting every set not only with period detail, but with a visual sense that masterfully considers the decoration and architecture of a given set. Throughout the film, characters begin to take on the larger-than-life personalities of their surroundings—the vaulted ceilings, ornate walls, and mannerist styles. Several low angles look upward, at once capturing the extravagant splendor of the interiors and aggrandizing the subjects in the scene. The backdrops not only reflect the decadent lifestyles of Chicago’s most ruthless mobster, but also the domestic wallpaper in Ness’ rather quaint, virtuous home, right down to the shabby earthiness found in the apartment owned by Ness’ mentor, Malone. The film had been designed to show this era not as it was, but as we imagine it was. Opposite Capone stands Treasury Department agent Eliot Ness, who at first is naïve to the corruption of Chicago. After Capone’s men are tipped-off to Ness’ first raid, he resolves to recruit a squad of clean, incorruptible policemen. He seeks out Malone, an honest, but experienced beat cop, for guidance. De Palma shoots the scenes in which Ness and Malone assemble their Untouchables mindful of a similar sequence from John Sturges’ The Magnificent Seven (1960). He even instructed Ennio Morricone to evoke the composer’s own scores on films like Once Upon a Time in the West (1968) in the music for The Untouchables, resulting in an echoing harmonica that arouses a kind of Western atmosphere. Ness and Malone acquire George Stone (Andy Garcia), an Italian sharpshooter still working his way through the academy. They also bring along the nebbish federal accountant Oscar Wallace (Charles Martin Smith), the man who realizes Capone has not filed an income tax return for four years. The newly formed Untouchables begin as squeaky clean good guys; De Palma even shoots a whiskey raid at the Canadian border with Ness’ men on horseback, making a heroic charge at the bad guys to Morricone’s gallant score. They begin their charge as unwavering cowboys chasing after a villain in black; until, in the very same sequence, they become killers. The paper pusher Wallace unloads his shotgun on several gangsters, and then, when no one’s looking, celebrates with a mouthful of booze from a leaking barrel. Dangerously, they enjoy being heroes, not to mention the killing and drinking it affords them. The Untouchables occupies very traditional, even outdated views on masculine heroes and feminine weakness, in part because the film seeks to tell a classical kind of story. The film remains more complicated around Ness’ questions of his own moral certainty. As he allows himself to become tougher and more masculine, Ness worries about becoming an evil man. This remains the key difference between Ness and Capone, since the latter embraces crime and unflinching cruelty without hesitation, such as sending Nitti to kill the prosecution’s key witness and slaughter Wallace; in the elevator where he kills them, Nitti writes “touchable” on the wall in Wallace’s blood. The next evening, Capone sends his men to shoot down Malone in his home. The sequence is shot from a point-of-view angle straight out of De Palma’s own Blow Out, following a mob killer peering through Malone’s windows and sneaking through his house until, finally, Malone rushes his would-be assassin out the back door—only to be gunned down by Nitti, who waits to strike in the distance. For Ness, a family man of unshakable moral values, Capone’s savage violence finally brings him to the edge. After all, Ness begins as an incomparable straight man. Because of the Volstead Act, and only because of it, he resists drinking and demands that his men avoid alcohol as well. When he finally grows frustrated with his lack of progress and seeks guidance, Malone takes him into a church of all places. Connery suggested the location to De Palma, believing Malone’s logic of “two eyes for an eye” served as a kind of righteous morality. De Palma once again shoots from a low angle, capturing the church’s elaborately vaulted ceiling, as though God was looking down on them, watching Malone make his argument with divine approval. Later, righteousness is barely enough. Ness breaks down, “I have foresworn myself. I have broken every law I have sworn to uphold, I have become what I beheld and I am content that I have done right.” Finally, Ness’ personal victory comes twofold: Capone’s attempt to bribe his jury results in the judge swapping them with the jury in the next courtroom, presumably leading to Capone’s eventual conviction of tax evasion in court. But no court is good enough for someone like Nitti in Ness’ present state. A rooftop chase scene sends Ness after Nitti, and the villain, curiously dressed in all white instead of all black, taunts our hero. “Arrest me!” he shouts, knowing Capone can get him out of it. “You tell Capone that I’ll see him in hell,” says Ness, and then rushes Nitti over the edge of the building where he falls to his death. Ness’ remark during his act of vengeance suggests that he knows his crimes will land him in hell, right alongside Capone. De Palma conjures romantic visions of Westerns and archetypal conflicts between good and evil throughout cinema in The Untouchables, informing the film’s complex moral themes by contrasting them against our cinematic memory and nostalgia for similar stories, which have been brought to aesthetic life in the film’s production design, costumes, and music. Perhaps the most famous moment in the film takes place on marble stairs in a train station, where Ness and Stone wait to detain Capone’s bookkeeper, a critical witness. The scene crosscuts between Ness anxiously looking at the station clock, a woman who struggles to pull her baby’s carriage up the stairs to make her train, and several of Capone’s men. Although this rousing scene originally involved an elaborate helicopter chase, the production ran out of money, requiring De Palma to design the near-wordless sequence on the fly. His masterful orchestration of suspense drops into slow-motion as a shootout begins; the mother’s carriage begins descending the stairs; Ness races after the baby, and all the while exchanges rounds with Capone’s men. The sequence recalls an iconic moment from Sergei Eisenstein’s Battleship Potemkin (1925), and similarly staged train station sequences from De Palma’s oft-borrowed influence, Alfred Hitchcock. But the precise and calculating, yet utterly breathless scene is pure De Palma, particularly in the way he uses established imagery to place his audience in an unconscious state of mind linked to the past, if only to embark on an altogether new perspective. 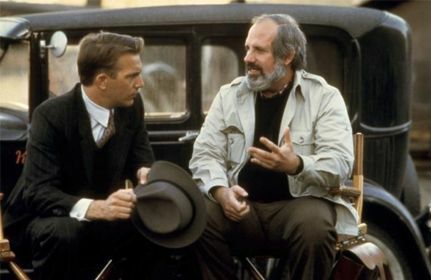 Although Brian De Palma took The Untouchables as a studio job to service his smaller, more involved passion projects, the outcome feels personal and uniquely carved from the director’s point-of-view. Where journeyman filmmakers disappear into their chosen production, De Palma remains such a singular force that even his studio jobs feel like the work of an auteur, ingrained with similar themes and obsessions as his original independent releases like Obsession, Blow Out, Dressed to Kill, Body Double, Raising Cain, and Femme Fatale. To be sure, De Palma’s more commercial-minded output (Carrie, Mission: Impossible, Carlito’s Way, Snake Eyes, etc.) nonetheless feels shaped by a master filmmaker controlling his craft in a way few other directors are capable. The Untouchables stands above his other studio pictures as a timeless, thought-provoking work of visual signifiers and bold thematic turns. Mamet’s sharp and often beautifully written script guides Ness’ journey into the heart of moral darkness, revealing that the Untouchables are, in fact, morally and physically, touchable. De Palma’s splendidly designed film at once embraces nostalgia and traditional hero roles, but also asks that his audience ponders the faulty nature of such classic, romanticized ideas by saturating them with grave implications.